It’s been a tough week for closers, with Jason Grilli temporarily losing his job in Pittsburgh, Ernesto Frieri struggling with the Angels, and the Tigers’ Joe Nathan blowing another save. The latest meltdown for Nathan came on June 21 in Cleveland, where the veteran stopper was trying to nail down a 4-3 victory for Justin Verlander, who was just one out away from winning for only the second time in seven starts. Alas, Michael Bourn tied things up with a two-out single, giving Nathan his fifth blown save of the season. The Tigers still went on to win the game 5-4, with Miguel Cabrera stroking an RBI double in the top of the 10th to plate the winning run. Because Nathan had finished the bottom of the ninth, he was the pitcher of record when Cabrera cashed in the game-winner in the next half-inning. Thus, the veteran closer, who gave up a run on three hits in his lone inning of work to raise his ERA to 6.18, was credited with the victory. Verlander, meanwhile, got the no-decision despite his seven innings of four-hit, two-run ball. Obviously, it doesn’t seem fair but that’s how the baseball rules work in terms of who gets the win in such a situation. Unfortunately, the official scorer isn’t allowed to use his/her discretion and award the victory to a more deserving hurler, in this case, the starter Verlander. This reminds me of an outstanding pitching performance from 1994 at Shea Stadium in New York, where a reliever pitched seven innings and handed the lead to the closer, only to see that stopper blow it and yet pick up the win. In that case, it was also a first-place team (same as the Tigers), and it was also a struggling closer that couldn’t nail it down. In this particular game, though, it was a three-run lead that was coughed up. First, some background. It was the second half of the 1994 season, with the All-Star break just over. The Los Angeles Dodgers, sitting atop the NL West, were on a tough 13-game road trip to begin the second half. Tom Candiotti had just pitched six innings to defeat the Phillies 3-2 in Philadelphia in the second game of a doubleheader on July 15. Three days later in New York, the Dodgers were forced to start rookie Ismael Valdez, who had never started a game in the majors (but was making his 13th career appearance), because of an injury to Orel Hershiser. Unfortunately, Valdez lasted only seven Mets batters before leaving the game with a blister on his pitching hand. It was only the second inning, and a runner on second with none out, as Valdez departed and the Dodgers leading the game 3-1. In came Candiotti on only two days’ rest, and the knuckleballer proceeded to strike out the side and strand the runner on second. He went on to log seven innings, allowing only three hits with seven strikeouts, and handed a 6-3 lead to closer Todd Worrell to start the bottom of the ninth. With the knuckleballing Candiotti gone, the Mets hitters were delighted. They got to Worrell for five hits and three runs in the ninth, miraculously tying the game at 6-6. The tying run actually came home on a Jeff Kent groundout, when Dodger second baseman Jeff Treadway got the forceout at second but couldn’t turn what would have been a game-ending double play. Dodger first baseman Eric Karros, though, saved the day with a go-ahead RBI single in the top of the 10th to give Los Angeles a 7-6 lead, and Jim Gott nailed down the save despite a shaky bottom half of the 10th which saw him give up two singles before getting the final out. Gott got the save, and of course, Worrell was credited with the win because he was the pitcher of record. Candiotti, who got the no-decision, was clearly the best pitcher of the game, with the following line: 7 IP, 3 H, 2 R, 1 ER, 4 BB, 7 SO. Worrell, meanwhile, had this line: 1 IP, 5 H, 3 R, 3 ER, 1 BB, 0 SO. Just one of those rules in baseball that allows the closer to pitch ineffectively, blow the save, and still get credit for the W.
Precisely what happened to Joe Nathan on June 21 – though he did a little better than Worrell did in that July game in 1994 . And oh, by the way, the Dodger bullpen was horrible that year and the team went 3-10 on that road trip, but Los Angeles still finished in first place when the strike took place in mid-August because of the mediocrity of the rest of the NL West. Would have been interesting to see how that race in the West would have turned out had the season been played to a conclusion. On June 14th, San Diego Padres rookie Jesse Hahn gave up just one hit – an infield single by Mets shortstop Ruben Tejada to lead off the bottom of the first – over six innings in only his second major-league appearance, winning a 5-0 decision over New York. The right-handed Hahn, who was just called up from Double-A San Antonio to make the start, even contributed an RBI single as he picked up his first major-league win. He had made his big-league debut on June 3rd against Pittsburgh, allowing four runs on six hits – including two home runs – over 3.2 innings. Hahn was then optioned to Double-A the following day. But with lefty Robbie Erlin on the disabled list since May 22nd and Tim Stauffer struggling while briefly being used in the rotation (a total of nine runs allowed over three innings in his last two starts), the Padres turned back to Hahn. If the rookie right-hander can continue pitching the way he did in his second career start in the majors, he might stick around for a while. Doesn’t get much better than six innings and allowing just one hit in your second major-league start. That reminds me of a game between Cleveland and Toronto 23 years ago – almost to the day. 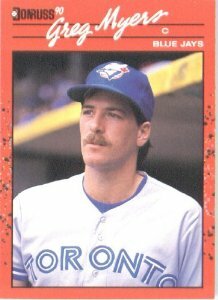 Back on June 12th, 1991, a rookie right-hander by the name of Mike Timlin made his first big-league start for the Blue Jays, facing Tom Candiotti and the Indians. Timlin had already appeared in 26 major-league games – and had notched four victories against three defeats – but was making his first start since Single-A ball in 1989. 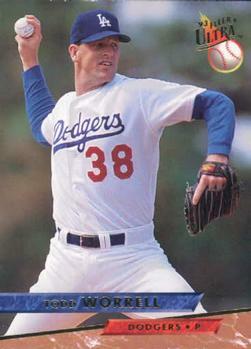 Used as a closer in the minors, Timlin had pitched to an unimpressive 3.92 ERA in his first two months in the majors. And yet Timlin opened the game with three perfect innings before walking Alex Cole to lead off the fourth. He took a no-hitter in the sixth inning, before Felix Fermin broke it up with an infield single. That proved to be the only hit the Indians managed off Timlin in his six full innings of work. Cleveland would get just one more hit after that, coming in the seventh off lefty Bob MacDonald – another rookie. Thanks to the Indians’ punchless offense, Candiotti was a hard-luck 1-0 loser despite throwing a complete-game three-hitter of his own . Timlin, meanwhile, would appear in 1,054 major-league games as a reliever while making just four starts. In his second start six days after beating Candiotti, Timlin was roughed up for three runs on seven hits and two walks over 3.2 innings in a loss to the Yankees. 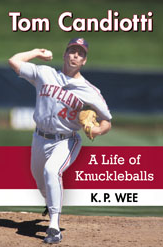 Naturally, in his third major-league start on June 23rd, he tossed five shutout innings against Cleveland. The opposing pitcher that night? Once again, Tom Candiotti. Timlin wouldn’t make another start until 2002 with the St. Louis Cardinals, when he allowed four runs over 4.1 innings in Milwaukee in what turned out to be his final starting assignment in the majors. 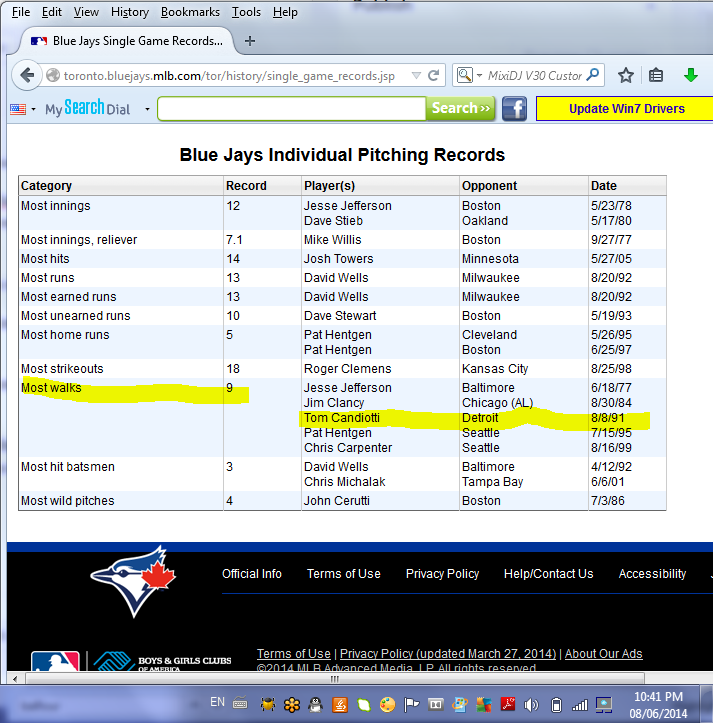 Remarkably, in two starts against Candiotti, Timlin had a 0.00 ERA. In his two other starts, 0-2 with a 7.88 ERA. Obviously, though, Timlin was a successful reliever in the majors for 18 years, notching 141 career saves while pitching for six clubs. He was also part of four World Series championship teams, winning rings with the 1992-93 Blue Jays and the 2004 and 2007 Boston Red Sox. He was also on the mound for Toronto for the final out of the 1992 Series, throwing out Atlanta’s Otis Nixon at first base – with the Braves fleet-footed outfielder trying to bunt for a hit – to clinch the title for the Blue Jays. Getting back to Jesse Hahn, perhaps the San Diego rookie will torment the Mets again the next time he faces them – like he did in his second major-league start. Or he might just dominate the rest of the National League. Perhaps he’ll turn out to be a dominant reliever some day. He might even pitch the Padres to the World Series. We’ll see how he does moving forward. It was an interesting – albeit low-scoring – three-game series between the two clubs. One day earlier, in the series opener, the Blue Jays took a 1-0 lead into the eighth before Jerry Browne’s two-out RBI single off David Wells brought home the tying run. The Indians ultimately won it in the bottom of the 12th when, with the bases loaded, Toronto lefty Ken Dayley hit Cole with a pitch to force home the winning run. Then in the series finale, Jimmy Key tossed a complete-game two-hitter and the Blue Jays beat Charles Nagy and the Indians 1-0, with the only run of the game coming on a throwing error by second baseman Mark Lewis. Cincinnati All-Star first baseman Joey Votto came off the 15-day disabled list on June 10th, and was in the Reds’ lineup that night for their game against the Los Angeles Dodgers. 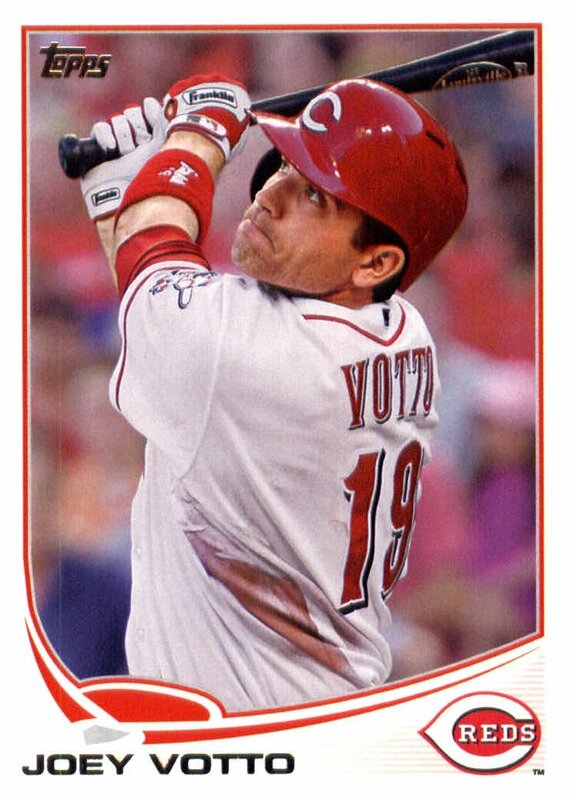 Votto, the 2010 National League MVP, went 1-for-3 with a walk and two strikeouts as the Reds’ No. 3 hitter in their 6-1 loss to the Dodgers. Votto had missed 23 games with a strained quadriceps in his left knee, and had just completed his rehab assignment with the Triple-A Louisville Bats the day before. Ahhh…sometimes life just isn’t fair. Just ask Pawtucket left-hander Chris Hernandez, who had to deal with perennial major-league All-Star Joey Votto on June 8 while pitching the best game of his professional career. Votto, in a Triple-A rehab assignment with Louisville, broke up Hernandez’s no-hit bid in the seventh inning in the PawSox’s 4-3 victory. Ahhh…speaking of that rehab assignment…he also went 1-for-3 in his first rehab game on June 8th, and that one hit was notable because it broke up a no-hit bid by Pawtucket Red Sox left-hander Chris Hernandez. Votto’s single to center leading off the seventh proved to be the only hit given up by Hernandez in his 7.1 innings, and Pawtucket went on to win 4-3 despite the bullpen giving up four more hits over the final two frames. Doesn’t seem fair that a four-time All-Star — and former MVP — like Votto, who by the way has also led the National League in on-base percentage in each of the past four seasons, should break up a Triple-A no-hitter. We’ve seen before where a minor-league call-up breaks up a no-hitter in his first month in the majors, but to see it happen the way it did in the Louisville-Pawtucket game is just unusual. One other interesting fact from that game: Hernandez outpitched former big-leaguer Chien-Ming Wang, who is currently toiling in the Reds’ minor-league system with Louisville. No, Hernandez., who was drafted by the Boston Red Sox in 2010 and has never gotten to the big leagues, didn’t get that no-hitter. Still, he at least was on the winning end against a former major-league 19-game winner, as Wang reached that mark in both 2006 and 2007 with the Yankees.